"Often patients would hug and kiss us at the end of their treatment, offering a 'Dios te bendiga,' which translates to 'God bless you.'" 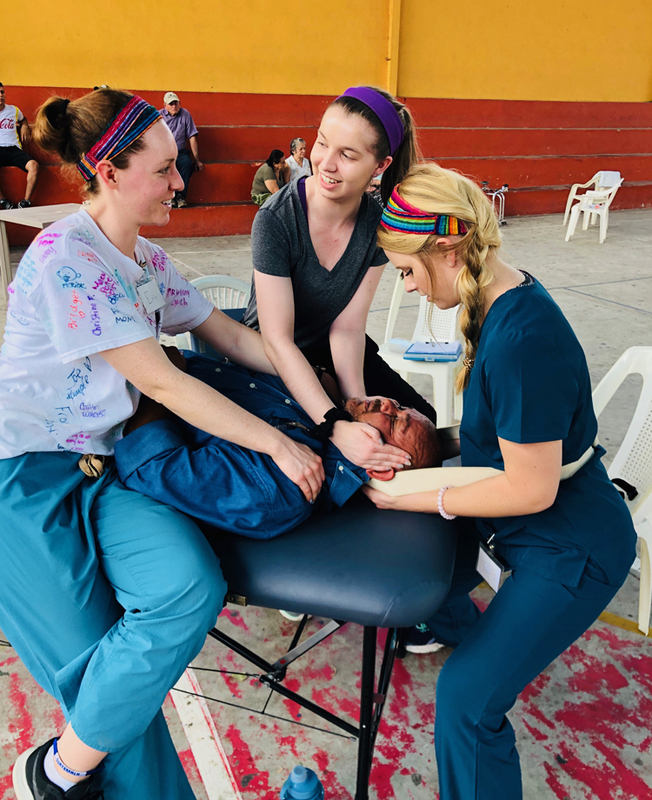 Matthew Aiken (MA) ’17, DPT expected 2020, and Erin Ciarrocca (EC) '18, DPT expected 2021, reflect on their experiences doing service in Guatemala during intersession. EC: My advice is simple -- go for it! 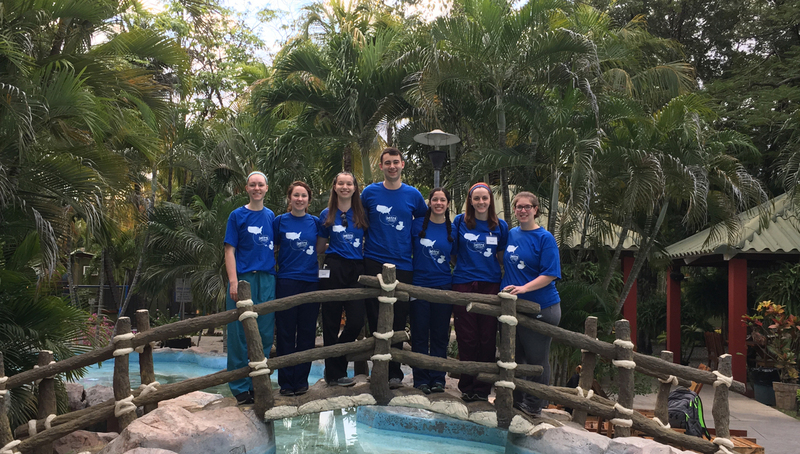 I decided to go on this trip with only a few days’ notice, no idea who else was going, and relatively low confidence in my ability to treat Spanish-speaking patients, but within just a couple hours of working in the clinic found that the opportunity was just what I needed to grow as a student. I didn’t plan on utilizing my Spanish much, but I was immediately thrown into translating so my comfortability speaking with patients increased each day. I was able to learn from my peers and the professors, which gave me a whole set of new tools to take back for classes this spring. 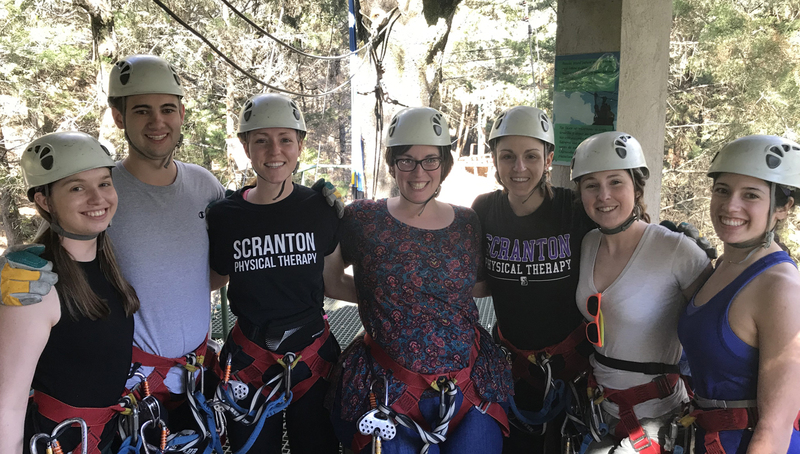 More importantly, this service trip gave me a chance to share the blessings I’ve been given as a University of Scranton student with people who haven’t been afforded the same opportunities. I was able to carry out my mission as a physical therapist, but also as a Christian, in serving and loving God’s children. 6. Do you think you'll continue to serve in some way after you graduate? View Ciarrocca's week in Guatemala here. 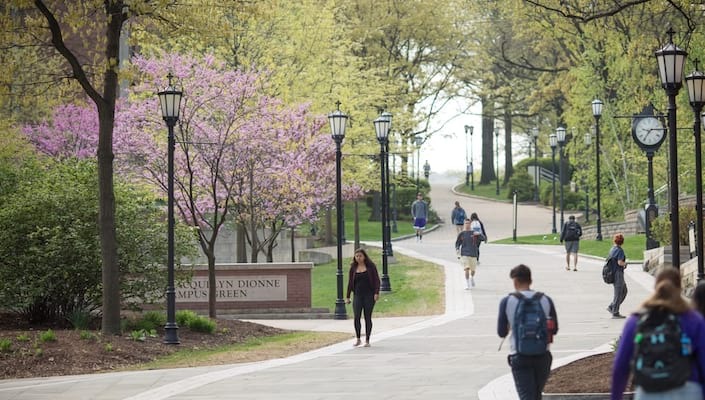 Read a faculty perspective here. Erin Ciarrocca and Holly Hilbrandt assisting with cervical traction. 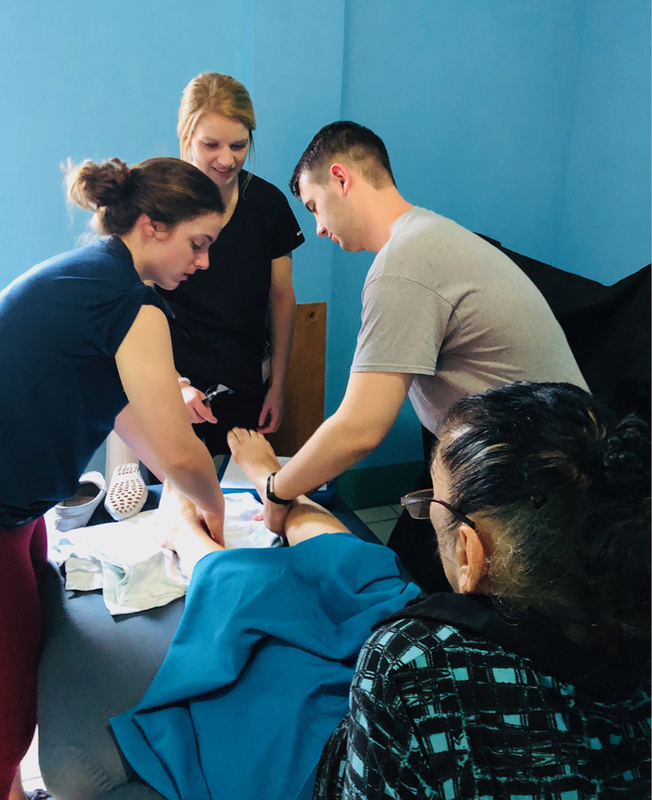 Matthew Aiken assisting with a lower extremity examination with students from William Carey and Marquette. 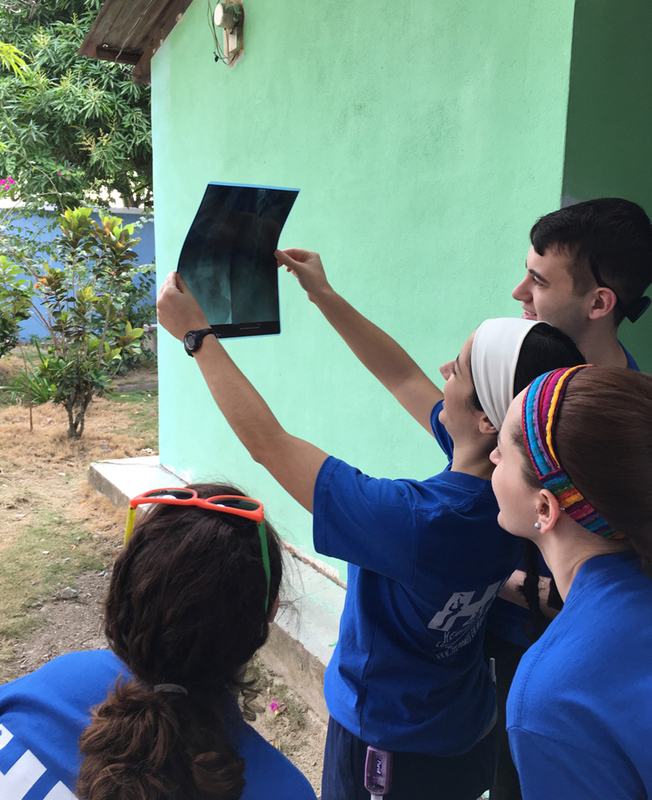 University of Scranton students reviewing an x-ray of a patient with Spondylolisthesis. 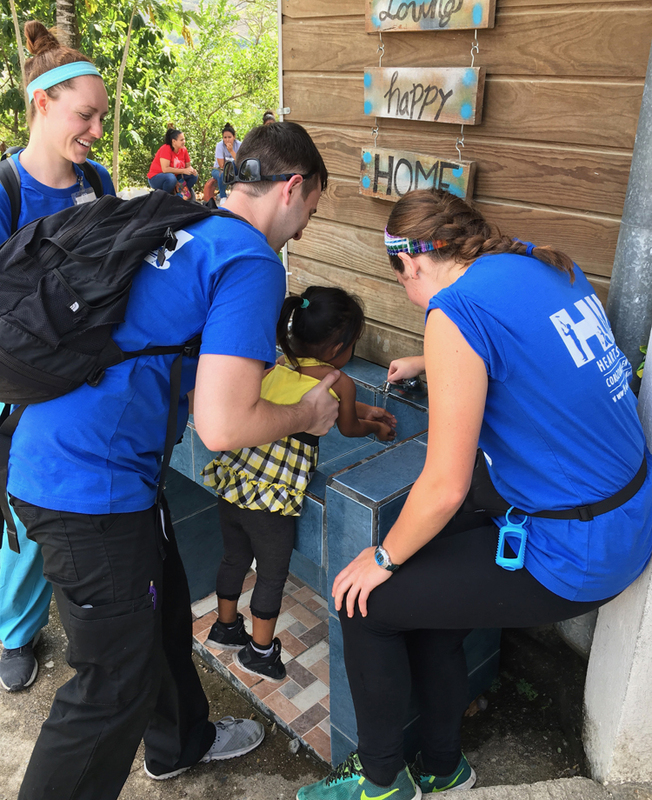 Matthew Aiken and Erin Ciarrocca assisting a small girl wash her hands prior to lunch serving over 100 local Guatemalan children. Entire group ziplining in Antigua, Guatemala.